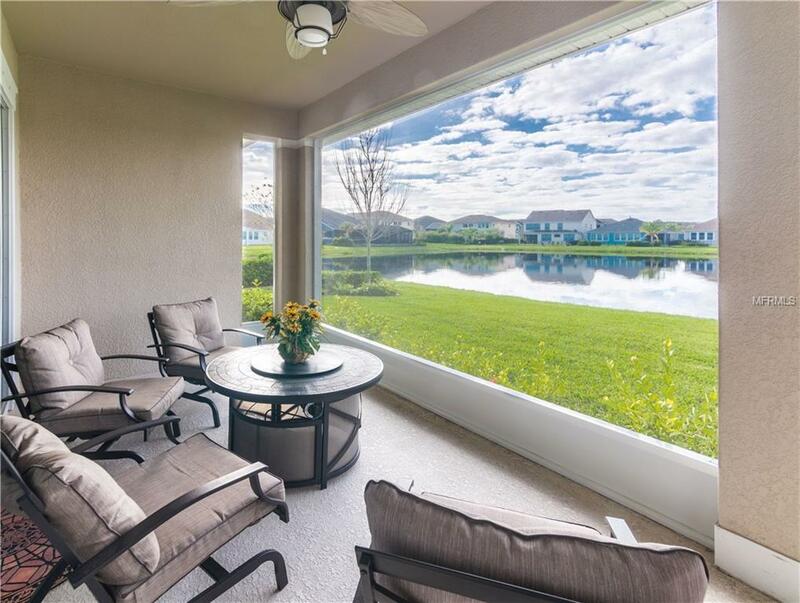 Feels like Florida every day - overlooking the pond from your private covered screened lanai - complete w/ceiling fan to enjoy the outdoors in the summer. Exquisite Modesto model built by David Weekley in the amazing community of Asturia! Wood floors flow throughout entry foyer to the kitchen, dining room, great room & breakfast area. 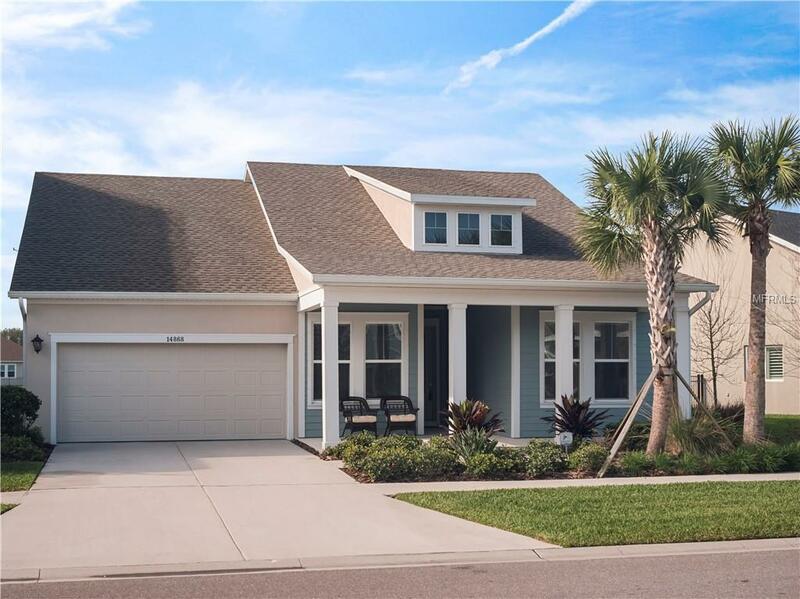 Complete with 4 bedrooms plus officea triple split plan. Enter the front door & feel the openness to the great room, dining room & kitchen area. Making entertaining fun & easy. 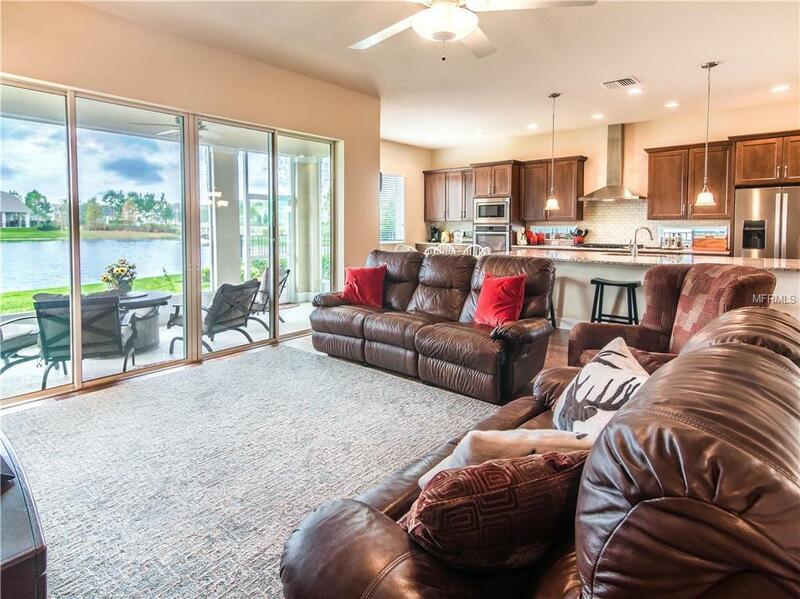 Great room opens to the lanai with easy access out back. Kitchen is complete w/42 cherry wood cabinetsgranite counter tops-stainless steel appliances. Formal dining room has built-in buffet w/crown molding & tray ceiling. Front bedroom w/private bath. Two guest rooms are across the house w/bath to share. Master suite at the rear of the house w/over sized windows off the back w/fabulous view of the pond & sunsets! Master bath has garden tub, shower & dual sinks. Extra-large master closet! Laundry room has a folding table & room for a drying stationmaking doing laundry easy. Garage is over sized 2.5 car plus room for golf cart or additional storage. Enjoy the amenities of Asturia: World-Class Clubhouse, State of the Art Fitness Center, Resort Style Community Pool, Trails, Parks & Green spaceall within walking distance from your home. 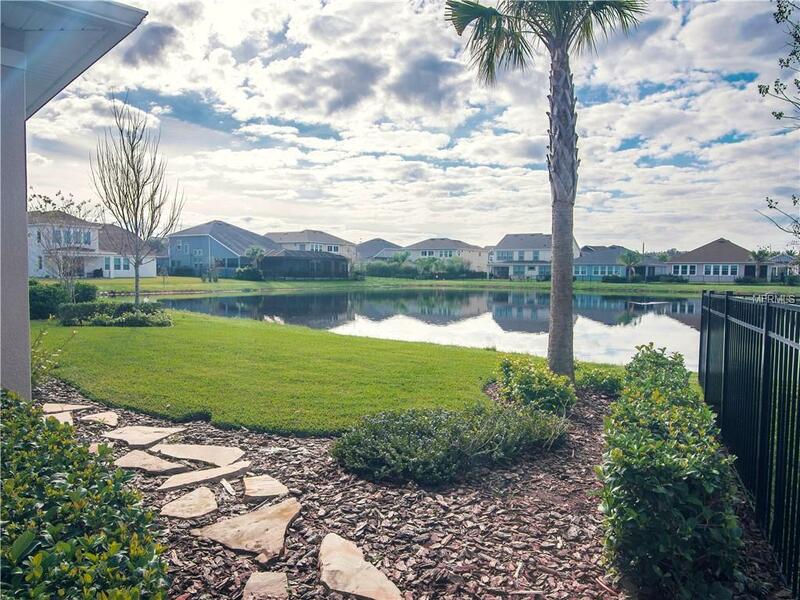 The beaches, airport, major roadways, restaurants & shopping are within minutes. SELLER TO PAY 1% OF BUYER CLOSING COST & 1 YR HOME WARRANTY.